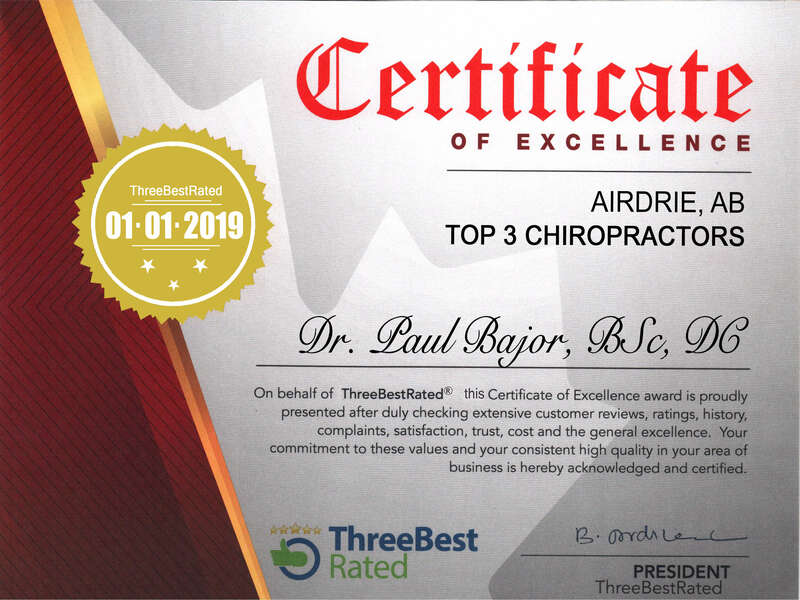 Access Chiropractic and Wellness has the most experience in chiropractic in all of Airdrie; between Airdrie chiropractors Drs. Jacqueline Boyd and Paul Bajor we have over 35 years of experience. The doctors are well versed in virtually any musculoskeletal issue and have one of the largest family practices in Airdrie, seeing newborns to the elderly. There is very little that can surprise us! The sole focus of Access Chiropractic and Wellness is to optimize your health. Getting out of pain is not good enough. Being just 'pain free' does not fulfill your life and the healthy lifestyle we want and YOU want to have. We are confident we can help get rid of your physical limitations, but our interest lies beyond pain. We take the time to find the root cause, using an extensive initial exam which includes three scanning systems: one for your nervous system, one for your ranges of motion, and one for your feet and balance. Combined with a thorough history and physical exam we can create a plan of action that suits your health needs. However, because we do not have a subjective or 'pain-based' focus, simply having less pain does not indicate progress for us, and that is why we re-evaluate you on the sixth visit, re-scan you on the 12th visit, and continue with routine assessments. We are always happy when you tell us you are pain free but we are happier when you tell us you are living life more healthy! Please click on the separate practitioner pages to learn more!